Before we start, I will explain a bit about few terminologies that you should know first. Since Arduino is a type of a micro-controller, so what is Micro-Controller? Micro-controller is a small computer on single integrated circuit board containing a processor core, memory and programmable input/output peripherals. Processor is the brain that do the process for all instructions given from the programmer. Memory is the temporary place to keep all instructions before processed by the processor. And programmable input/ouput mean that we can program Arduino to do something and change it with new program in the future. What is the benefit using Arduino? You can program arduino to control anything. From the simple one, light on an LED light to more complicated one. You can use it to monitor the temperature, wind speed, home automation (Music, TV, Fan, Pump, Lamps, water plant), check gas leaking, motion sensor, light sensor, heart beat sensor, robot etc. etc.. The limitation from the implementation arduino is your idea. What you should know if you want to use Arduino? You have to know at least basic C programming language and basic function of electronics like transistor, resistor, diode, relay, AC power and DC power. Because basically arduino is only supply and receive electric DC current through its pins, digital and analog. Just simple like that. What are the types of Arduino? First generation of manufactured Arduino is NG (new generation). NG used the Atmega8 chip running at 16MHz, 6K memory and run at 19200 baud. The next version was Diecimila with Atmega168 chip, 16MHz, 16 kilo byte (K) memory but still still run at 19200 baud. In 2009 Duemilanove was released with Atmega328, 32K memory and run at 57600 baud. There is a good thing in this version. The power supply can be switched from USB to DC. Finally Arduino can be stand alone. All of the above version use 2KB bootloader and FTDI (FT232RL) chip to control the USB interface. FT232RL is royalty free driver but it is only act as USB port. You can can’t use it with keyboard, mouse, MIDI etc. In 2010, we got Uno. Uno in Italian mean ‘One’. It’s named to mark the upcoming release of Arduino 1.0. The Uno and version 1.0 will be the reference versions or Arduino. Uno still use Atmega328 but has smaller bootloader (521bytes) mean that you get another additional 1.5K free extra flash memory for programming. It also has atmega8u2 chip to replace FT232RL which allows various type USB interface. Now it runs at 115K baud. You can upload your codes in 3 seconds. Until this version, Arduino chip only can run at max 16Mhz because it’s only 8-bit. May be it is not really intended for fast processing. 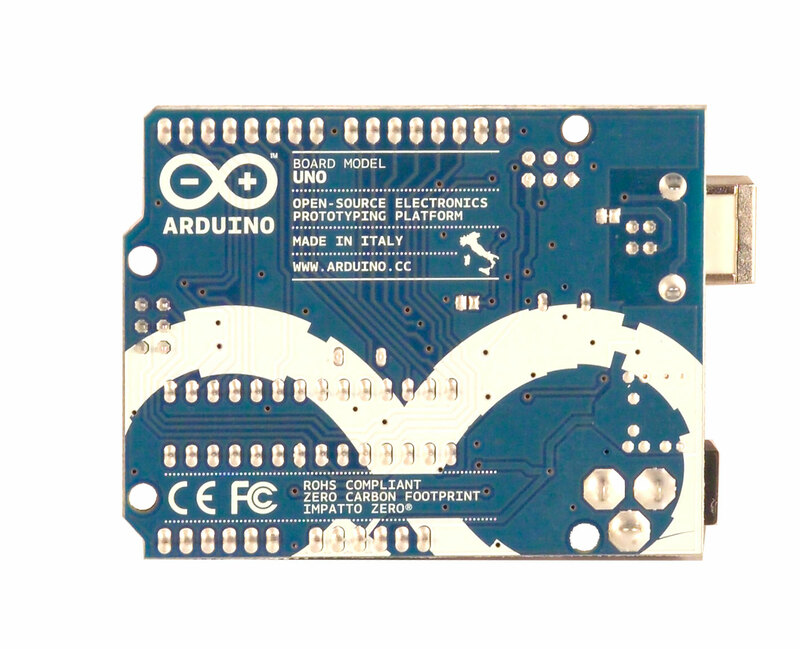 Arduino also is still open source electronics prototyping platform for the software and the hardware. 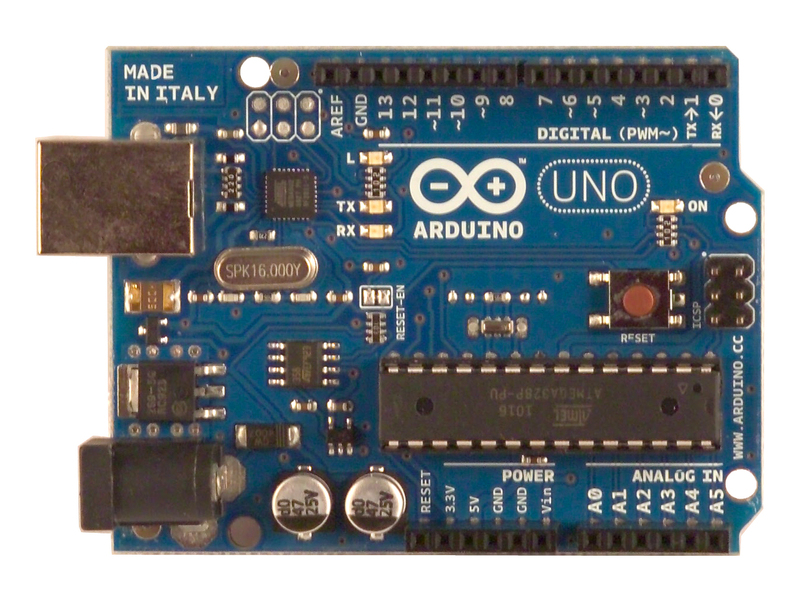 When I write this article, Arduino Uno has already got revision 2 and revision 3. In revision 2, there is additional resistor pulling the 8U2 HWB line to ground, make it easier to put into DFU (Device Firmware Update) mode. Mean, now you update your firmware without need to replace the chip. In revision 3, added SDA and SCL pin that are near to the AREF pin and 2 other new pins placed near to the RESET pin, the IOREF that allow ‘shields’ to adapt to the voltage provided from the board. Atmega16U2 replace the 8U2. You can power Arduino Uno using USB connection or an external power supply. The power source is selected automatically. The external (non USB) power can come from an AC-to-DC adapter or battery. The board can operate on an external supply of 6 to 20 volts. The recommended range is 7 – 20volts. If the supply is lower than 7 volts the 5V pin may supply less than 5 volt and the board maybe unstable. If the supply is more than 12 volts, the voltage regulator may over heat and damage the board. What OS that I can use to upload codes to the Arduino? You can use Linux, Mac or Windows. The good thing is for Mac and Linux user, you don’t have to install the driver. Unfortunately for Windows you have to do manually (update the .INF file). I don’t know if it apply to Mac. I’ve tried with Windows and Linux. The speed of uploading code in Linux is much faster compare to Windows. Before I explain further about Arduino, it will be easier if we experience it ourself. In this tutorial I use Arduino Uno. To write the codes and upload it into Arduino board you need an open source Arduino IDE (Integrated Development Environment) application. You can download it free from www.arduino.cc . 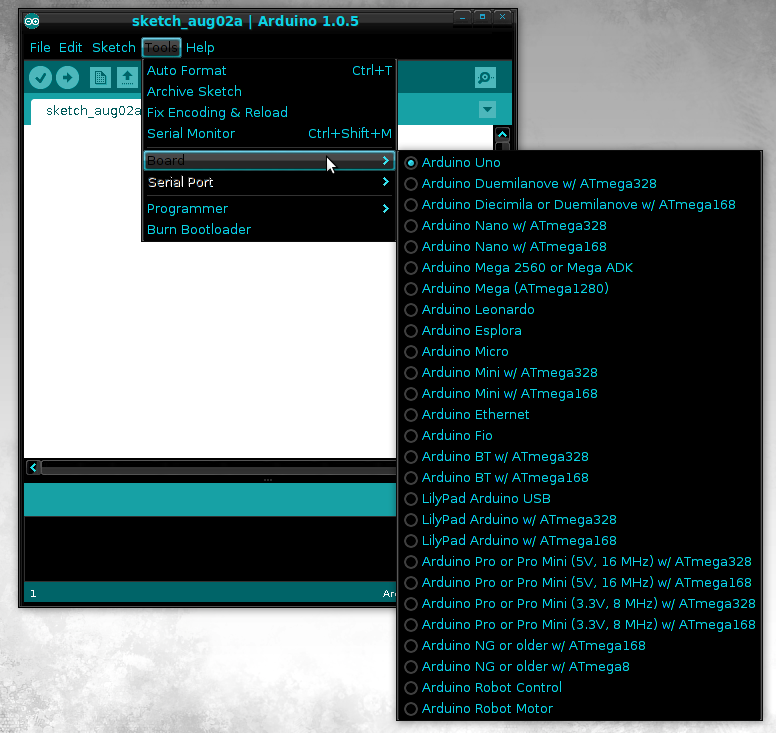 The last version that I downloaded is arduino-1.0.5-linux32.tgz. How to install Arduino IDE in Linux Ubuntu? 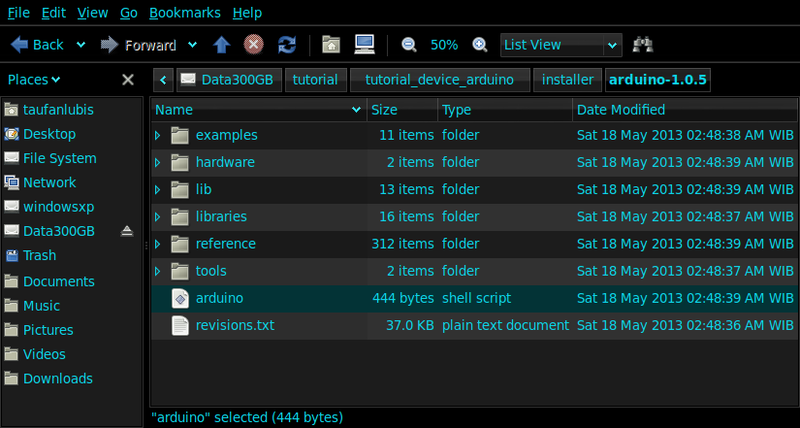 There are few files library that need to be installed before you can run the arduino IDE. 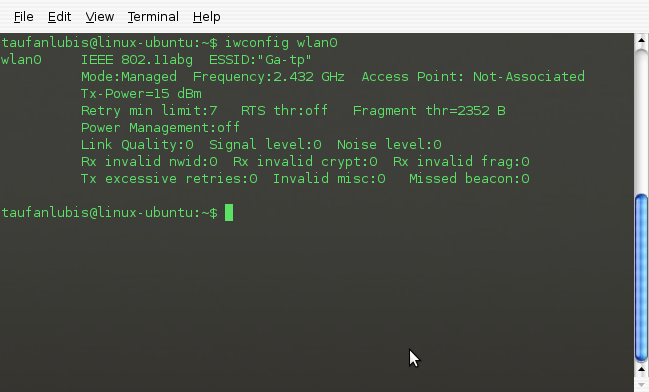 You can install are the libraries through Linux Terminal. 0 upgraded, 4 newly installed, 0 to remove and 7 not upgraded. Need to get 14.6MB of archives. After this operation, 52.8MB of additional disk space will be used. Selecting previously deselected package binutils-avr. Selecting previously deselected package gcc-avr. Selecting previously deselected package avr-libc. Selecting previously deselected package avrdude. 2 upgraded, 2 newly installed, 0 to remove and 5 not upgraded. Need to get 924kB of archives. After this operation, 844kB of additional disk space will be used. Selecting previously deselected package icedtea-netx. Selecting previously deselected package icedtea-6-plugin. update-alternatives: using /usr/lib/jvm/java-6-openjdk/jre/bin/itweb-settings to provide /usr/bin/itweb-settings (itweb-settings) in auto mode. 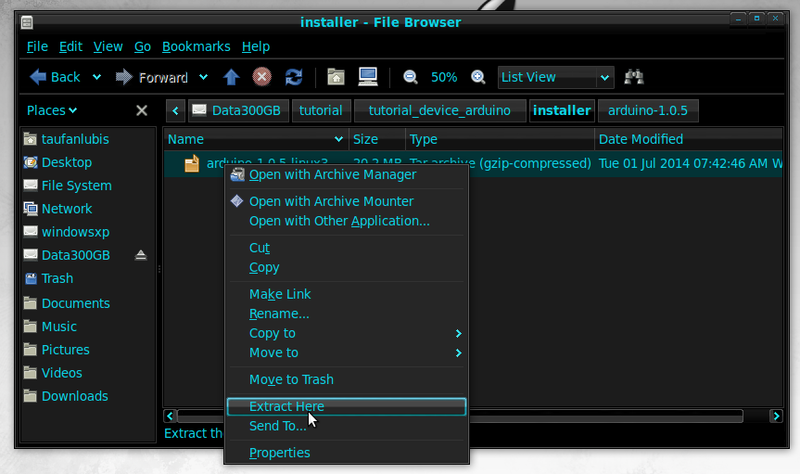 After all library files are installed then you can extract the arduino IDE files and run the application. In order to do that, just go your download folder, select the file, right-click mouse button then select “Extract Here” menu to extract the zip file. You will get ‘arduino-1.0.5’ folder. 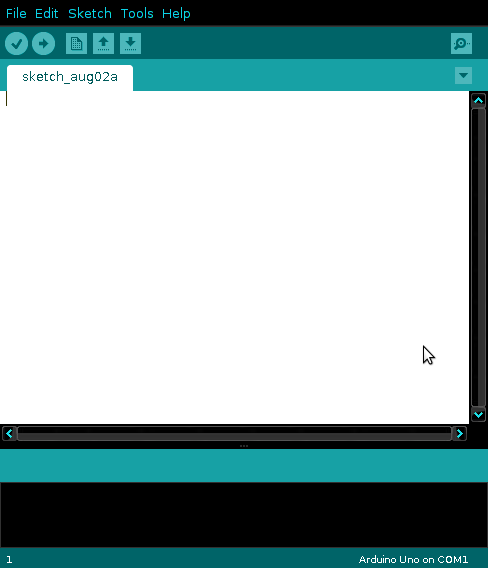 Go inside the folder and there is file name ‘arduino’. That’s the shell script file that we need to run to get the arduino IDE screen. Just double click the file. If everything run smoothly, you will the screen below. The default port is COM1. You have to tell Arduino IDE which Arduino type that you have. 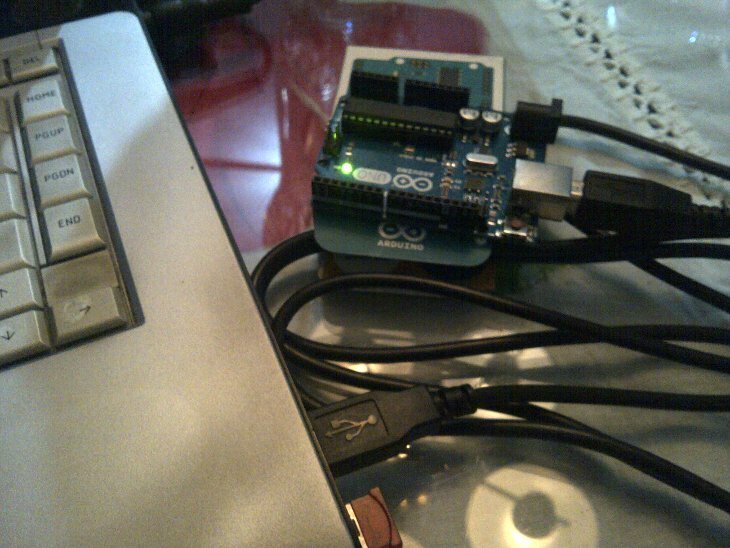 Connect your arduino using the USB cable. Go to ‘Tools > Board‘ menu then select your arduino type. On the right buttom screen you will the connection status. My arduino is connected via/dev/ttyACM0. That’s it. Now you are connected and ready to upload your codes.